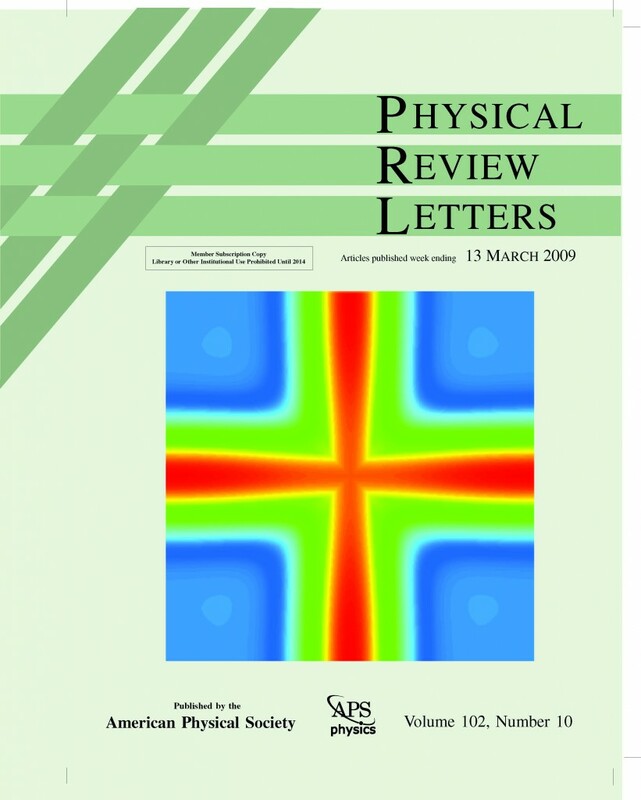 On the Cover: Decay rate of evanescent states in bulk SrTiO3, which determines the attenuation of the charge density of the two-dimensional electron gas at a LaAlO3/SrTiO3 interface. States with the lowest decay rate (red) form a cross pattern along the Γ-M directions in the two-dimensional Brillouin zone. Karolina Janicka, Julian P. Velev and Evgeny Y. Tsymbal. March 2009. Quantum nature of two-dimensional electron gas confinement at LaAlO3=SrTiO3 interfaces. Physical Review Letters 102(10). Evgeny Tsymbal is Charles Bessey Professor of Physics and Astronomy and director of the Materials Research Science and Engineering Center (MRSEC). Karolina Janicka is a graduate student in Dr. Tsymbal’s group.